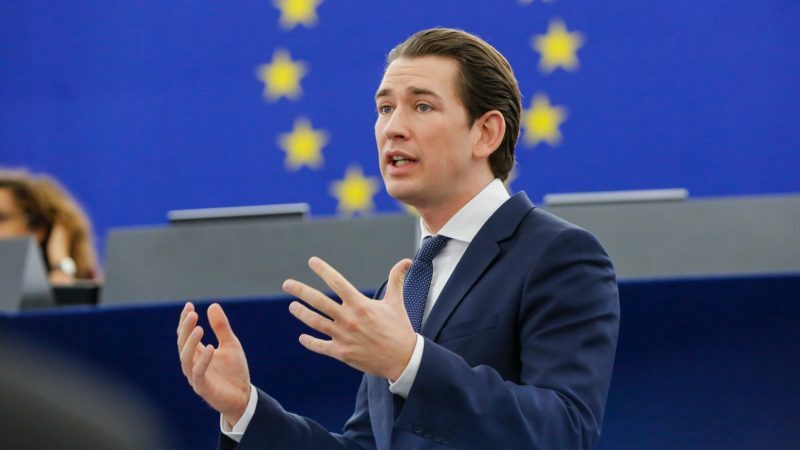 The Austrian government’s refusal to sign the UN global compact for migration while holding the EU’s rotating presidency has damaged the EU’s image, progressive forces in the European Parliament said during a debate with Chancellor Sebastian Kurz on Tuesday (15 January). 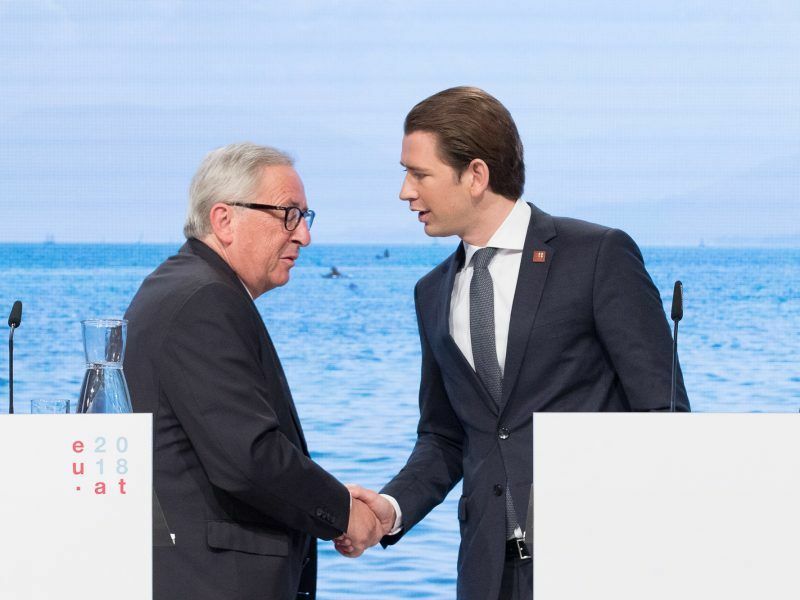 Kurz, who was in Strasbourg to take stock of the Austrian presidency’s achievements, was heavily criticised for his government’s decision not to sign the first intergovernmental agreement to address global migration, even by European Commission president Jean-Claude Juncker. Juncker argued that the decision was the only exception to an “impressive” presidency. 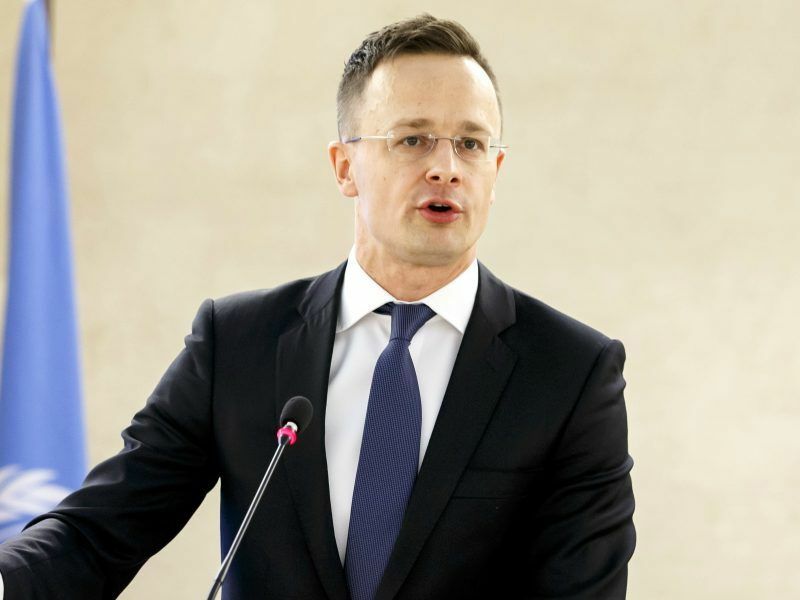 “I wish they would have moved in the right direction,” he stressed while pointing out that unfortunately, Austria was not alone in this, as the Czech Republic, Poland, Hungary, Bulgaria, Italy, Latvia, Romania and Slovakia acted the same way. However, MEPs found it particularly disturbing that a country would take such a decision while holding the rotating EU presidency. “Why did you shame the European Union in that way by refusing to sign this text?” said Dimitris Papadimoulis, member of the United Left, pointing out that 150 countries came together to get the agreement done. The progressive forces also voiced regret at the lack of progress in important files for the EU migration policy, such as the reform of the Common European Asylum Policy, on which the Parliament has had a position for months. “Europe needs to define a fully-fledged migration policy to have an orderly managed migration,” Rodriguez pointed out. Austrian Prime Minister Sebastian Kurz prioritised the protection of the external borders during his country’s EU Presidency stint, in order to safeguard the Schengen area, as a recent deal between Germany’s conservative parties could lead to a resurrection of the bloc’s internal borders. While the Social-democrats, the Greens and the Left strongly criticised Austria, far-right representatives strongly supported the Austrian position on migration. Kurz’s government partners, the Freedom for Austria party (FPÖ), share the group in the Parliament with Italy’s Lega and UKIP. “It was really refreshing” to see a different point of view on migration int the EU, said Jan Zahradil, member of the European Conservatives and Reformist. Zahradil praised Kurz for saying “what other politicians were hesitant to say, that Europe is not willing or ready to accept waves of migrants”. The Commission will translate the Council’s demands into a set of concrete actions in order to improve control of the EU external borders, Jean-Claude Juncker announced on Friday (6 July) during the visit of the College of Commissioners to Vienna. Moving on from migration, Juncker praised the Austrian presidency, saying that “contrary to many expectations, this was a presidency that really served the European Union”. The Austrian Chancellor highlighted in particular the reduction of the migratory flows and the death toll in the Mediterranean. He praised the cooperating with Egyptian and Libyan coastguards, despite constant allegations of violations of human rights. Over the past five years, more than a million people have arrived in Europe through the Mediterranean, but that figure is very small compared to almost any other corner of the world. For instance, Uganda, Sudan, the Democratic Republic of Congo and Kenya, have welcomed more refugees South Sudan recently, despite being far smaller economies. The same goes to Lebanon, Jordan or Turkey when it comes to Syrian refugees. 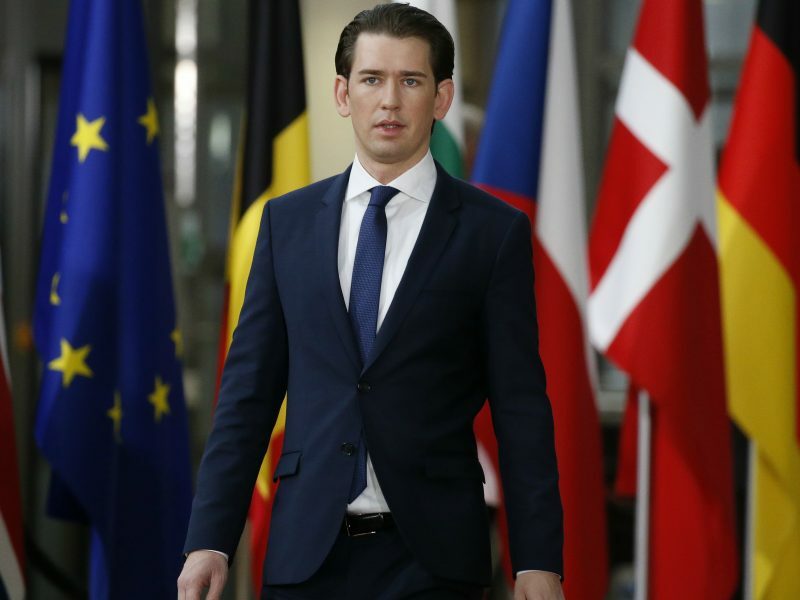 On the external aspect of migration management, Kurz referred to the African Forum in Vienna, which aimed to strengthen economic cooperation with African countries. “We don’t want to leave only the Chinese to invest in the continent,” he said. 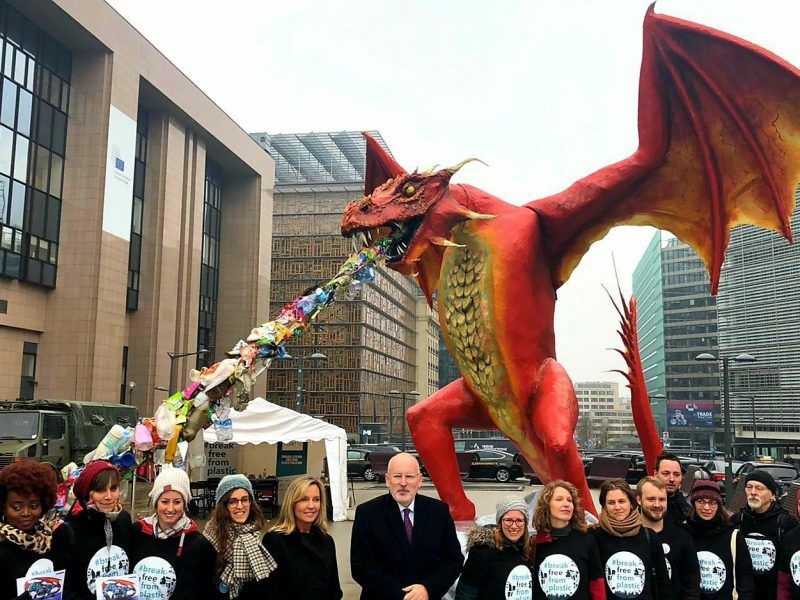 Kurz also underlined the importance of progressing in developing the Digital Single Market, welcomed the agreement on reducing single-use plastics and the headway in negotiating the next EU long-term budget. However, members of the Parliament regretted that the European Council decided in December to postpone any decision on the budget until autumn. “This is too late,” Maria João Rodrigues said. On Brexit, Kurz praised the job his government has done in the past few months. “When we took over in July we were asked to do everything in our capacity to keep the unity of the 27. 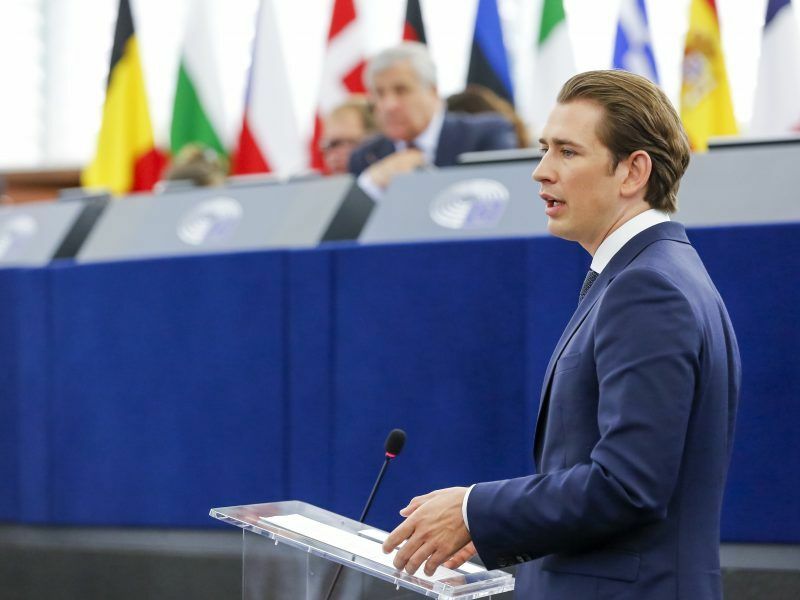 We have preserved that unity,” Kurz told the Parliament. He said the EU had negotiated “a very balanced” Brexit agreement and stressed the need for the 27 to remain united. “Even if the next few weeks and months are rocky, it is important that we continue to sign from the same home sheet”, he said, referring to expectations that the UK parliament would reject the Brexit agreement on Tuesday evening. Austria’s Chancellor Sebastian Kurz has mooted the prospect of EU leaders agreeing to extend Article 50 talks with the UK in a bid to avoid a ‘no deal’ Brexit that analysts say would have a serious negative impact on the economy on both sides of the Channel. This is the same Austrian Progressives Party which supports migrants more then their own people of their country. Its really not a surprise seeing how all of liberals of Europe are united in bringing more migrants into Europe. By never learning any of their mistakes by doing so. Europe cant put a whole of Africa. Majority of these African Migrants are just male Migrants, who arent even running from a war zone nor poverty. They are being brought to Europe by Human Traffickers.